This four-panel piece of wood wall art makes a major impact—visually, and for how well it’s made. It’s handcrafted in Ohio by a wife and husband team who use locally sourced woods like elm and oak, along with reclaimed woods, too. 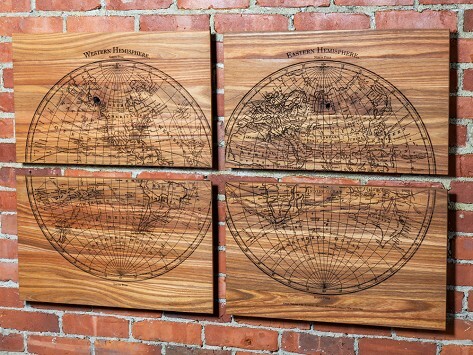 The antique world map is laser-etched to result in a piece that is undeniably eye-catching.